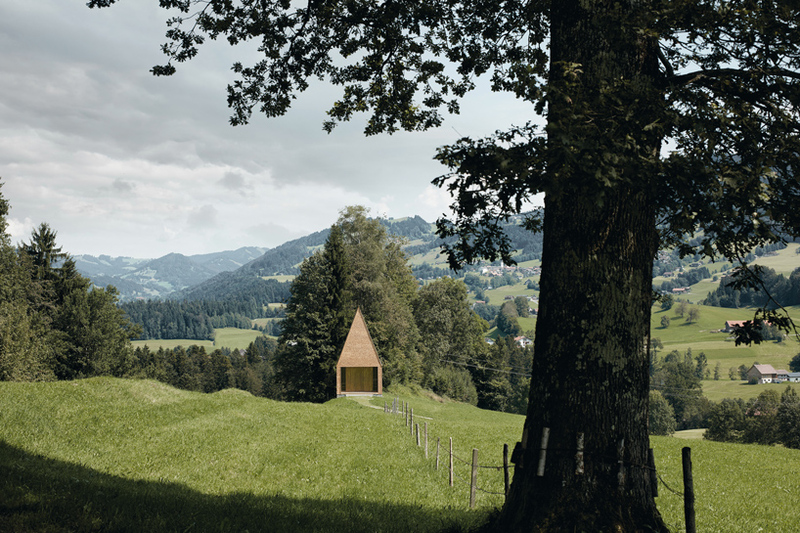 the bernardo bader architekten salgenreute chapel is perched atop a mountain ridge near the small market town of krumbach, austria. 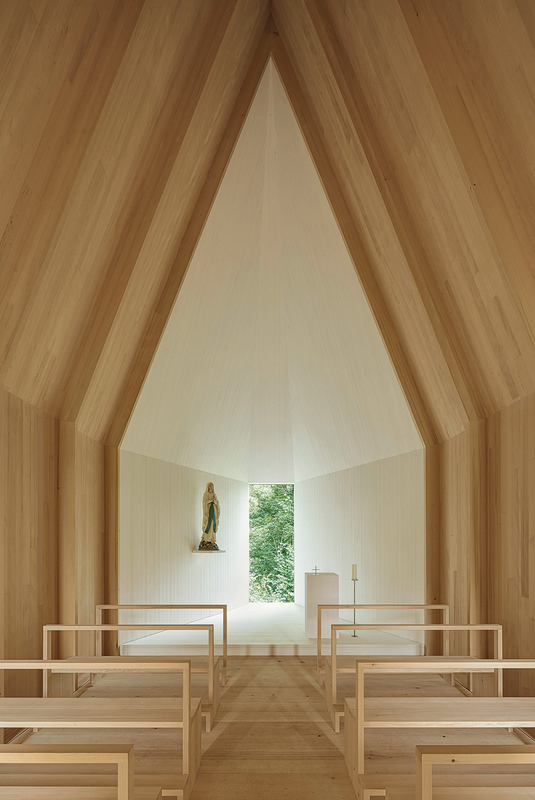 the project is a complete reconstruction of the pre-existing, nearly 200 year old lourdes chapel. 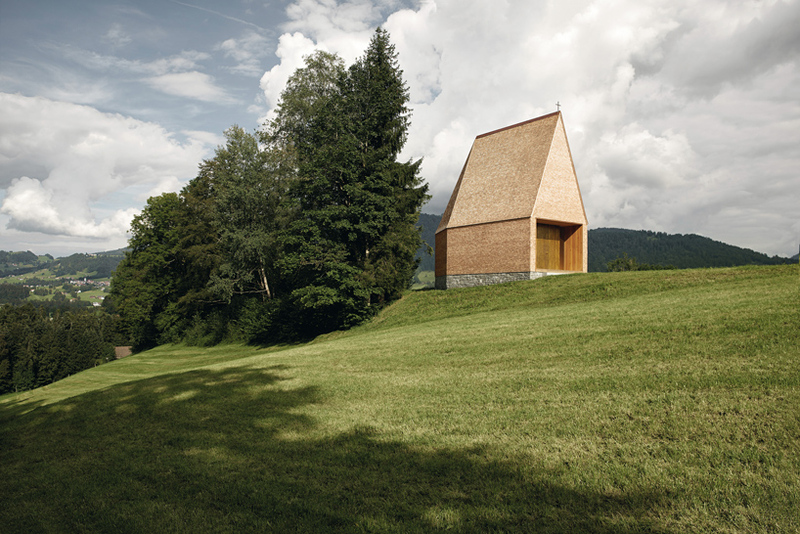 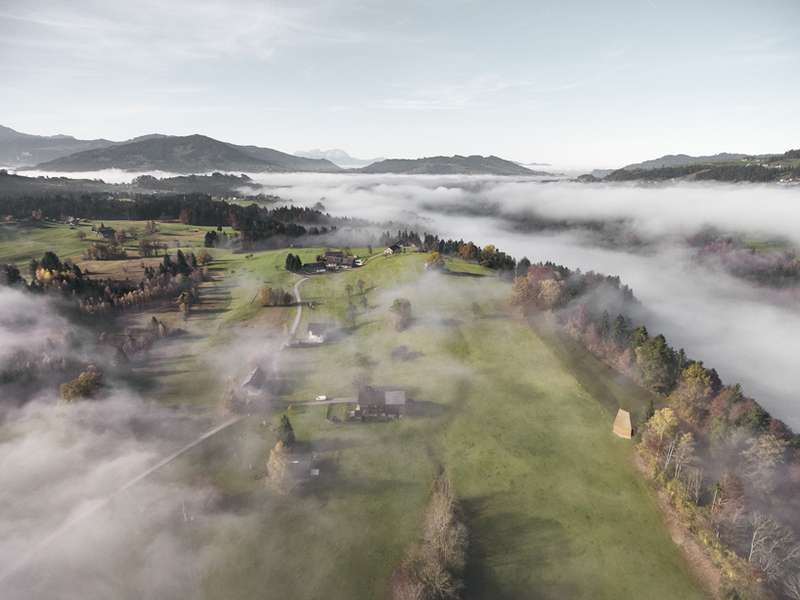 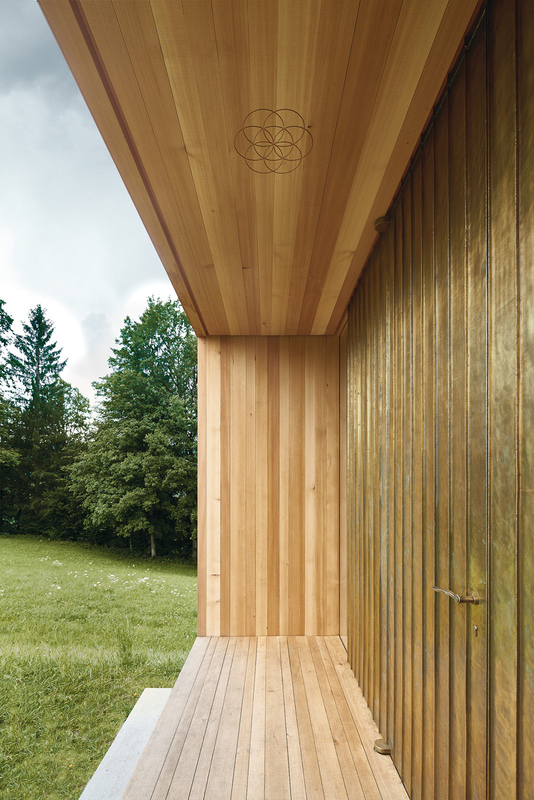 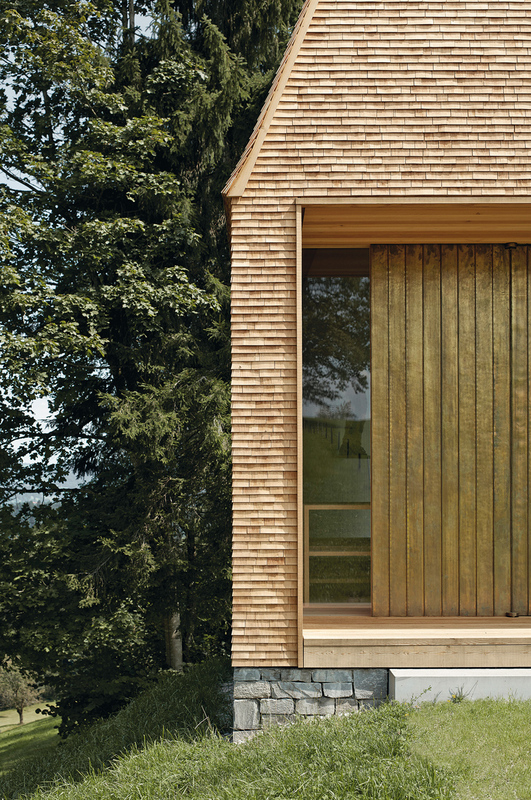 built in wood and stone, the simple footprint of the original chapel expresses the historic tradition of the area’s building culture while the new construction introduces a subtle new form, developed through a creative collaboration between the citizens of krumbach, the craftsmen and the architect.